Versatility, technology, cost, safety and compliance. 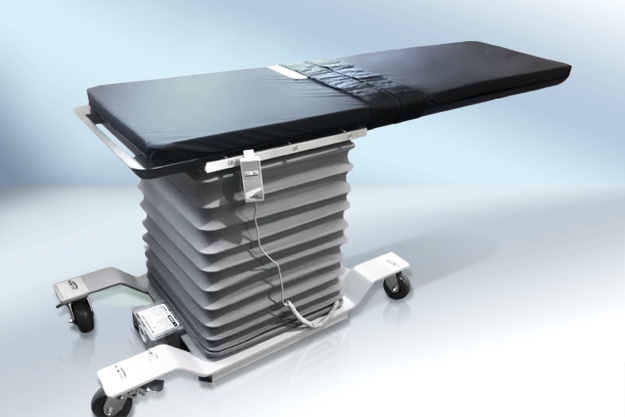 For all of these reasons and more Surgical Tables Inc. is fast becoming the industry leader in surgical table quality. Attractive ratio of price to performance frees up space in your investment planning and the rugged engineering features keep your follow-up costs low. Providing a flexible solution for the medical and budgetary concerns of all surgical environments. As medicine advances towards better patient care, open surgeries are being replaced by minimally invasive procedures performed using X-ray guidance. Surgical Tables Inc. is dedicated to providing innovative patient platforms on which to perform these cutting edge procedures. Sign up for our Used Table mailing list. Our used tables are first come, first serve and usually are sold before they reach our warehouse. If you would like a quote, please fill out the form below with your name and contact info, plus any comments that you may have. Make sure you specify the product you're interested in and the quantity desired. Sign up today for our used table mailing list. We periodically refurbish older tables and then resell them. We'll even accept older tables on a trade-in basis.nnGet notifications about our daily specials starting today!